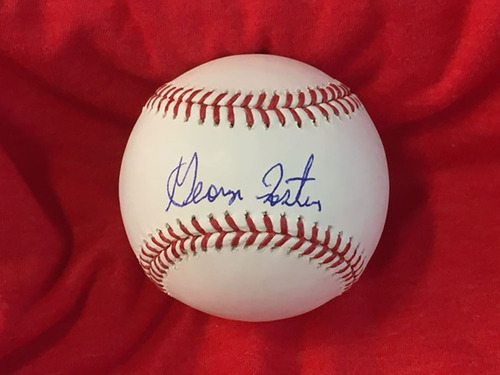 An Official Major League Baseball signed by George Foster, one of the most fearsome hitters of his era and the only player in Reds history to hit 50 or more home runs in a season. The 1977 National League Most Valuable Player, Foster was a member of the Big Red Machine's fabled "Great Eight" starting lineup. Foster was inducted into the Reds Hall of Fame in 2003. The baseball is housed in a protective cube and comes with a Certificate of Authenticity from the Reds Hall of Fame.